Looking for climbing partners? Interested in updates on the latest avalanche technology? 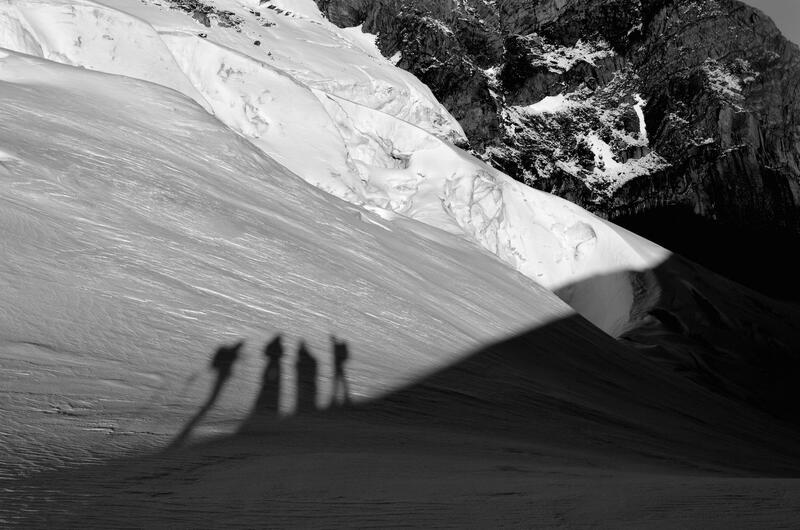 Do you want to learn more about first aid, local fauna or interesting areas to climb or ski? Or do you just want to get together with a bunch of fun people and drink beer while talking about climbing and skiing? Then our socials are for you! We have slide shows or presentations most months except during the summer, when we're too busy climbing. They are usually in the evenings, often on Tuesday nights. Lately we have been holding them at the Canmore Legion, because we like to support the Legion and they have cheap beer. We have pub nights whenever we feel like it. The club buys nachos; you pay for your own drinks. We also have climbing socials where we do some laps at Elevation Place, and then head out to a local pub aftewards to socialize. Our annual barbeque is free for all members! It is usually in June, but it depends on when the ACC national club house is available. And the social committee also organizes our annual volunteer appreciation dinner, which is usually at the end of May. For actual dates, check the news section on our home page and in our event calendar.